Everything You Need To Know About Different Protein Supplements! Because of hectic schedules it is impossible to eat the six perfectly balanced daily meals required to get in shape. Protein supplements can be used as fast foods. They are easy to prepare and most of the formulas taste good. Because of hectic schedules it is impossible to eat the six perfectly balanced daily meals required to get in shape. Protein supplements can be used as "fast foods". They are easy to prepare (if it is a protein bar then no preparation is required) and most of the formulas that are available on the market today taste good. Having said that, there are many categories of protein supplements. Before we cover the different categories of protein supplements and how to use them, let's talk about the different sources of protein found in these supplements. There are many sources of protein from which protein powders or bars can be made. Protein quality is measured by Biological Value (BV). BV is a value that measures how well the body can absorb and utilize a protein based on nitrogen retention. The higher the Biological Value of the protein you use, the more nitrogen your body can absorb, use, and retain. As a result, proteins with the highest BV promote the most lean muscle gains. Whey protein has the highest BV value, rating at 104. Egg protein is only second to whey rating as a 100 with milk proteins being a close third rating as 91. Beef rates as an 80 with soy proteins a distant 74. Bean proteins, due to the fact that are plant-based proteins, only rate a 49. Now that we have discussed BV values, let's discuss each protein source in more detail. It improves sports performance because it reduces stress and lowers cortisol levels (hormone that destroys muscle). Improved immunity by increasing glutathione, which is a water soluble antioxidant found in the body. Helps reduce overtraining (which is linked also to low levels of glutathione). In addition to the above, whey proteins are highly digestible and have an even better amino acid profile than egg whites. So in other words, whey protein has the highest biological value (value that measures how well the body can absorb and utilize a protein) of any protein. Having said this, whey is not the steroid-like substance that many supplement marketers would like you to believe, but based on current research, it can be a valuable addition to one's diet for the reasons outlined above. Also, all whey is not created equal. The whey that will give you the benefits described above has to be micro-filtered. Otherwise, it is just the garbage left after pasteurizing milk. Micro-filtration has to be done at very low temperatures in order to allow for the production of high protein concentration with no undenatured protein, minimum fat, minimum lactose and cholesterol. View Whey Protein Products Sorted By Top Seller Here. In addition, there are whey isolates and whey concentrates. Whey isolates are sub-fractions of whey that are absorbed much more rapidly into the system. This is a good thing for post workout nutrition as at this time the body is in dire need of amino acids. However, whey isolate makes a poor choice for supplementation at other parts of the day, as if the body does not have a need for all of the amino acids that are released into the bloodstream, it will use them for energy production as opposed to muscle building. Also, it is important to mention that whey isolate does not have many of the health enhancing properties that are described above, as the expensive process required to produce whey isolate destroys many of the health/immune system enhancing sub-fractions such as the lactoferrins, beta-lactoglobulins, and immuno-globulins. 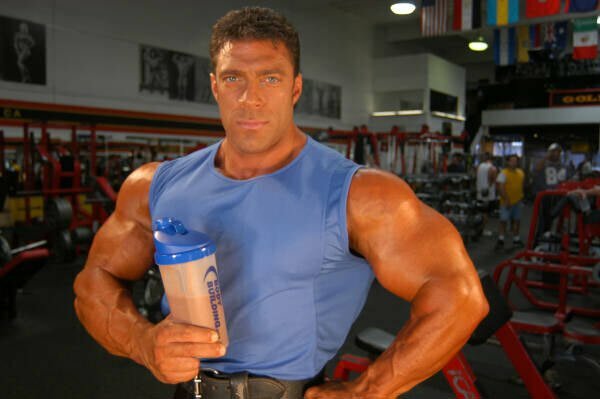 Therefore, for during the day use, a product consisting mainly of whey concentrate is your best bet while for after the workout, a whey isolate product would be a better choice. View Whey Protein Isolate Products Sorted By Top Seller Here. Egg protein is a super bio-available protein second only to whey, as previously discussed. It is a released more slowly than whey, which makes it perfect for use throughout the day. One thing that I like to do is mix some egg and whey protein for the most bio-available protein shake in the planet! [ Click To Join The Thread. ] Egg Protein Powder? I am a big user of whey protein, however, I have heard from other sources that egg is better. Any thoughts? View Egg Protein Products Sorted By Top Seller Here. 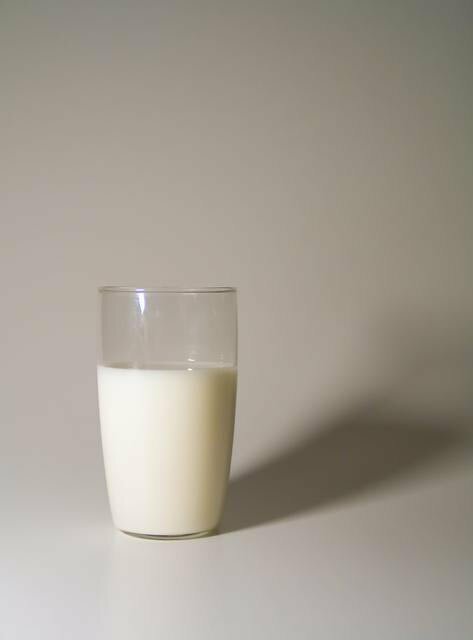 Milk proteins, just like egg proteins, are a highly bio-available protein source (slightly less BV than egg) that are slowly released into the blood stream. 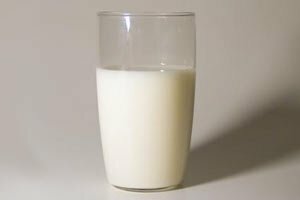 Calcium Casseinate is a predominant protein found in milk and other dairy products. Micellar casein is the natural, undenatured form of casein found in milk. It is separated from milk by means of ultrafiltration, without the use of chemicals, which increases the amount of bioactive milk peptides that support immune function as well as enhance muscle growth. A property of micellar casein is that it has the ability to provide a steady release of amino acids into the blood stream, which makes it an excellent choice for a long lasting anti-catabolic (muscle protecting) protein. View Casein Protein Products Sorted By Top Seller Here. Beef proteins are slow released proteins that rate an 80 on the BV scale. While I don't know of any protein supplement in powder on the market that is made from beef proteins, there are beef liver tablets out there that do provide the benefits from beef proteins. Beef proteins are abundant in blood building iron and also in B-vitamins, all factors that contribute to better nutrient utilization and energy production. [ Click here to learn more. ] Clayton's Health Facts: Dessicated Liver. Dessicated liver is extracted from the liver of beef cattle. 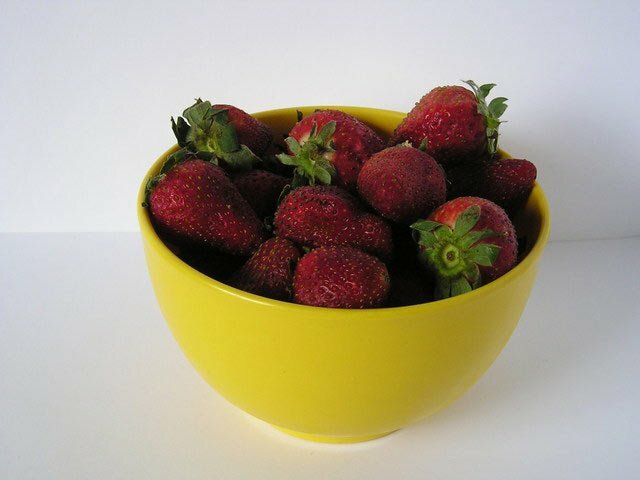 It is rich in B vitamins and is a natural source of iron and folic acid. View Dessicated Liver Products Sorted By Top Seller Here. Soy has been shown to exhibit positive health benefits for both men and women. Studies have shown they may reduce the risk of hormone-dependent cancers (breast, prostate, etc), and other cancers as well. Soy's primary health benefits include reducing high cholesterol and easing the symptoms of menopause (due to the fact that it contains estrogen like substances called phyto-estrogens). Soy has also been shown to help with osteoporosis by building up bone mass. Because of this, I like to recommend 1 serving of soy protein per day for women for its health benefits. However, in the muscle building department, I don't feel that soy is very useful on its own since it is an incomplete protein and its BV value is a distant 49. It is high in branched chain amino acids however so if combined in small quantities with a complete and more bioavailable protein one can benefit from its high BCAA content. View Soy Protein Products Sorted By Top Seller Here. Now that we have covered the various proteins used in protein supplements, let's discuss the different types of protein supplements on the market. Weight gainers are protein shakes with a high calorie base in the form of carbs along with 30-40 grams of protein for the majority of the products in the market. The protein sources of these products can consist of whey proteins (mostly concentrate with some isolate as well) and/or other protein sources such as milk proteins and egg. These products are characterized by their extremely high carbohydrate content; typically in the form of maltodextrin (a high glycemic complex carb) and fructose (simple sugar originating from fruits). Weight gainers were very popular back in the 90s but their popularity has died mainly because most people do not have the fast metabolism of a hardgainer; so as a result, a high carbohydrate diet applied on a person with over 10% body fat typically leads mostly to fat gains instead of muscle mass gains. For hardgainers however, and bodybuilders who are below 10% body fat, these products be very useful for getting in the amount of quality calories required to gain quality muscle. Gainer If You Have A Fast Metabolism. They are best when used for the mid-morning, mid-afternoon and post workout meals as the carbohydrate content is of a fast released nature. They can be mixed with fruit juice or skim milk, and in order to increase the calorie content the use of flaxseed oil and fruits is invaluable. View Weight Gainers Sorted By Top Seller Here. These powders are lower in calories due to the fact that they have way less carbohydrates than weight gainers. They were created after the realization that most of the population does not have a weight gain problem and therefore the weight gainers on the market were of little use to them. Protein-wise, most are composed of whey proteins but there are many new formulas now on the market that consist of a protein blend of whey and milk proteins. [ Click To Join The Thread. ] Good MRP Suggestion. I am in need of new MRP. I was using Labrada's MR which was good but wondered if there is anything better? Typically, the carbohydrate component used to be maltodextrin, yielding around 25-27 grams of carbohydrate per serving, but the newer generation formulas consist of slower released carbohydrates like brown rice and oats in order to make the product lower glycemic in nature. Also, essential fatty acids have been added as well as a vitamin and mineral profile. While these products are too low in calories for most Hardgainers, they can use these as long as they add other ingredients such as fruit, skim milk and essential fats in order to increase the caloric base. Fruit To Increase The Calories. View Meal Replacements Sorted By Top Seller Here. Protein powders are just powders that consist mainly of protein (typically whey protein is what is sold these days but you can also find blends). Typically, they contain no more than 5 grams of carbohydrates per scoop and 20-25 grams of protein (per scoop). Calorie wise they consist of anywhere from 100-125 calories. In my opinion, a blend of proteins is the way to go due to the fact that you have the proteins that are released as quickly as you ingest them while others will last in your system for the next 3 hours up until you have your next meal! Whey concentrate powders and isolates are best for after the workout as they are released extremely quickly into the blood stream. I love protein supplements because of the many uses that they have. Of The Many Uses That They Have. For instance, in the morning I like to have oatmeal with strawberry or banana flavored protein powder. One can also use them to add more protein to either a meal replacement powder or a weight gainer. Alternatively, one can also use them for creating a home-made weight gain formula. These are bars made out of any of the protein sources listed above. The carbohydrate mix is usually a combination of glycerin (which is not really a carbohydrate but a sugar alcohol) and some sugars. They are low in calories compared to a weight gain shake and you have to be careful with the brand chosen as some contain less than desirable fats and too much sugars. If trying to lose fat, then limit their use to once per day at the most. If doing a competition then I would refrain from using them. View Protein Bars Sorted By Top Seller Here. Ready-to-Drink protein shakes are the latest protein supplements in the market. They are characterized by a high protein content (most are blended proteins) with some essential fats and low carbs. Many have an array of vitamins and minerals as well. RTD protein shakes are highly convenient for people who are on the go and don't even have time to mix a shake. View Ready-To-Drinks Products Sorted By Top Seller Here. These tablets are a great source of beef liver and bodybuilders have been using them for decades in order to obtain the values offered by beef proteins. The key thing for liver tablets to be useful is that they need to be manufactured with the highest grade of beef liver and they also need to be purified from the fat, cholesterol and other impurities that are contained in the liver. It's also a good source of vitamins A, C, and D and other micro-nutrients and minerals such as the anti oxidant selenium, phosphorus, copper, zinc, and GTF chromium (which helps to regulate insulin levels). [ Click To Join The Thread. ] Beef Liver Supplement. The way to use them is to add 3-4 tablets per meal. Each tablet adds an additional 2 grams of protein from beef liver to your meals. Weight Gainer, MRP, Protein Powder, Protein Bar Or RTD? So now, which protein product should you choose? If trying to gain weight then a weight gainer for sure or protein bars (especially the higher ones in calories). If you are looking to have a full meal consisting of carbs, proteins and some fats and staying lean is one of your fitness goals, then an Meal Replacement Powder is your best bet. If on a budget then the best way to go is to buy a 5-lb tub of blended protein powder which based on how you mix it can be used for weight gain or muscle building while losing fat. If your schedule is really hectic then an RTD protein shake is your best bet. Of course, you can also mix and match these different protein supplements based on what your schedule looks like on a specific day and what your goals are. I hope that this article has educated you on the different protein supplements that are available to help you with your bodybuilding and fitness endeavors. Keep in mind that protein supplements are just that; supplements to an already healthy and good diet based on the intake of whole foods. Do not make the mistake of thinking that protein supplements are better than food because they are not. Real food should always be the base of any good bodybuilding and fitness diet plan. [ Click here to learn more. ] Everything You Need To Know About Protein! I will break down the science of proteins into analogies to help you get a grasp on what it is, where it should come from, and how it can fit into your diet. Hugo Rivera is an ISSA Certified Fitness Trainer and best-selling fitness author of over 8 books on bodybuilding, weight loss and fitness, including "The Body Sculpting Bible for Men", "The Body Sculpting Bible for Women", "The Hardgainer's Bodybuilding Handbook", and his successful, self published e-book system, "Body Re-Engineering". You can visit Hugo Rivera at www.bodybuilding.about.com, www.hugorivera.net, and his new site www.losefatandgainmuscle.com.